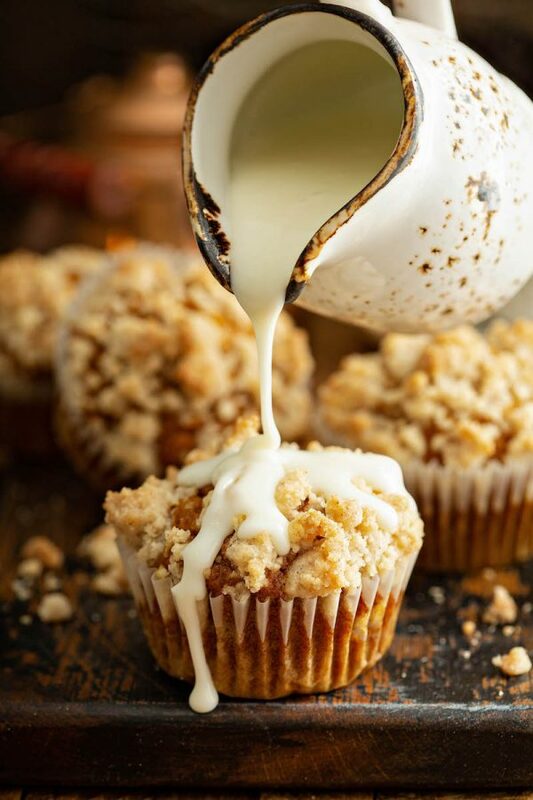 Pumpkin Streusel Muffins: these made from scratch, moist pumpkin spice muffins, are topped with a golden cinnamon streusel and drizzled with cream cheese icing! 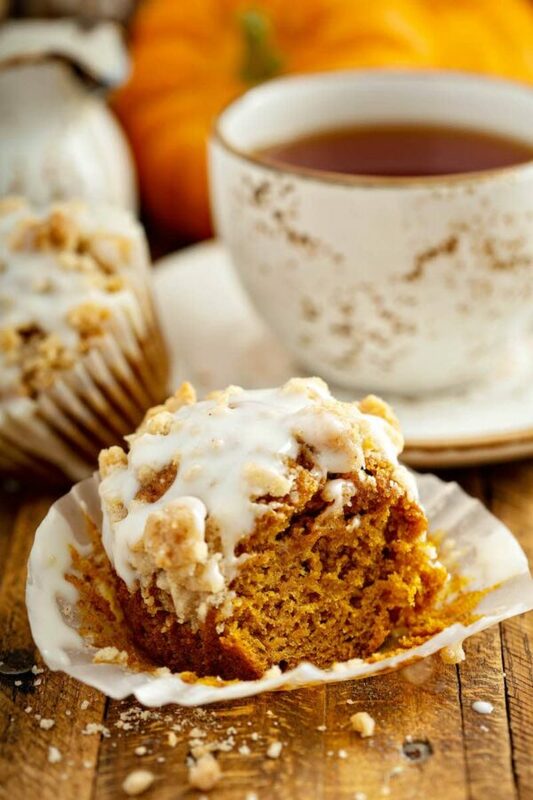 Guess who’s back, who’s back again…with another out of this world pumpkin muffin recipe!! ME! 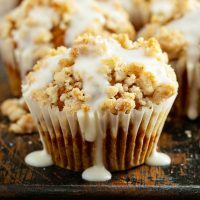 These Pumpkin Streusel Muffins are the adorable twin sister of the now famous Pumpkin Cream Cheese Swirl Muffins. The base muffin recipe for the pumpkin spice muffins are exactly the same. Why mess with perfection? But they have a brand new topping, an amazing cinnamon streusel that bakes into the top of the muffins and turns a gorgeous golden brown. 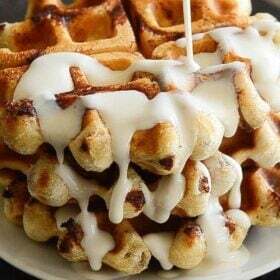 Then, you can stop there, or you can add a cream cheese icing drizzle right on top before serving. I topped half of my muffins with the cream cheese drizzle and half without. I loved them both equally, I couldn’t choose! So I just did both instead. But I will say, that I really love the cream cheese drizzled on top of a warm muffin fresh out of the oven. 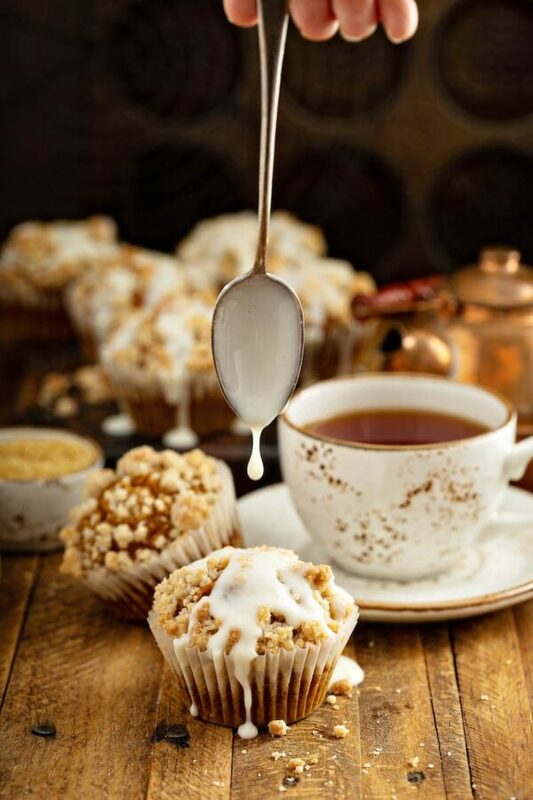 The muffin is so moist and warm, the cinnamon streusel is golden and provides a little crunch and then that sweet cold cream cheese drizzle…. oops, excuse my drool please. 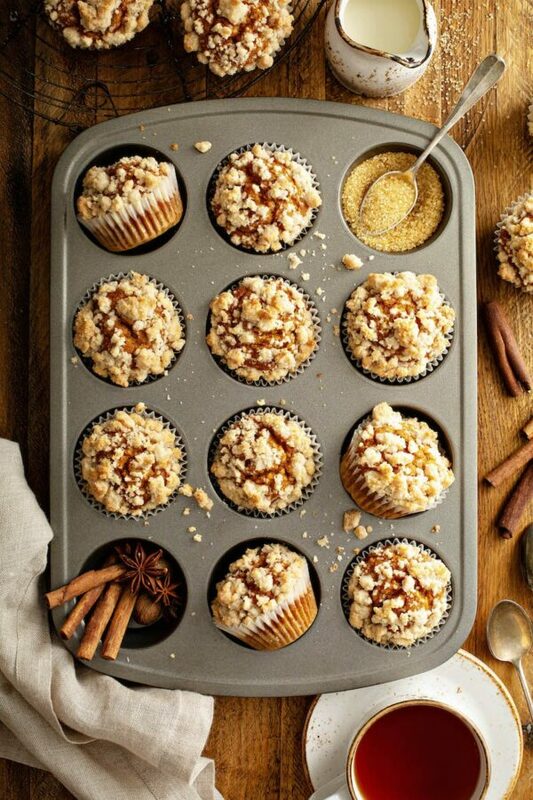 These Pumpkin Streusel Muffins truly just melt in your mouth. That’s the best way to say it. There are no words to explain how good they are. I can try, but nothing compares to you trying one yourself. 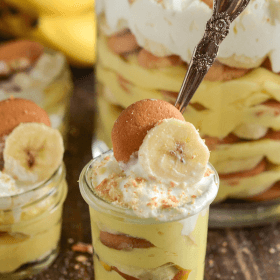 You just have to believe me when I tell you these are one of the best pumpkin recipes I have ever shared and make them immediately! I am considering making a double batch next time so we will have enough to share with the neighbors. Sure this made 18 muffins, but we were NOT ok with sharing them! The girls each ate TWO for breakfast this morning on the way to school! These pumpkin muffins are very easy to make and use a whole 15 oz can of canned pumpkin! I know we can’t always help it, but I hate when a recipe only uses part of a can of pumpkin puree. Then we add a whole tablespoon of pumpkin spice (you can also use cinnamon) to spice them up. 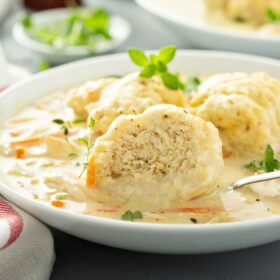 The last key ingredient is to add a little oil to keep them extra moist. A lot of muffins use butter, but trust me on the oil choice instead for these. If you are anti vegetable oil, you can use unsweetened applesauce in it’s place, that’s totally ok. They are best with oil, but still delicious with applesauce. Just a little less moist and the texture is fluffier. Just look at that perfect texture inside these pumpkin spice muffins! Holy cow, they are so soft and moist. Plus, in case you are in a rush, these Pumpkin Streusel Muffins do not take long to make and are super easy to whip up. 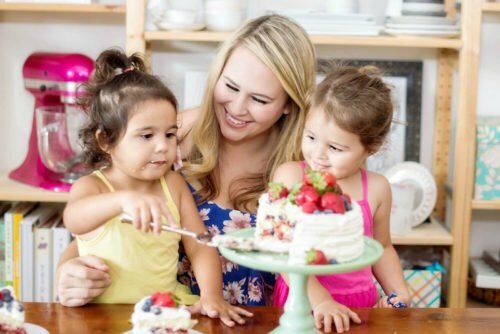 No hand mixer or stand mixer needed! Just a couple of bowls and a good strong whisk! 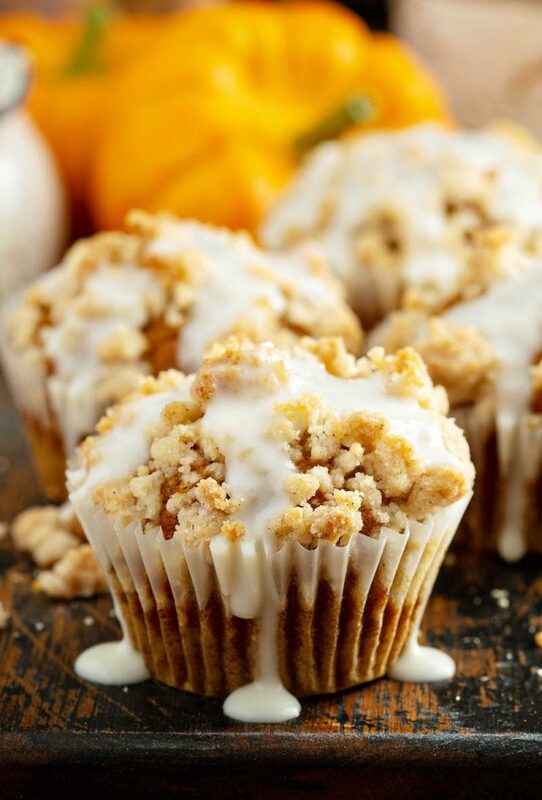 I am so excited for all of you to try these Pumpkin Streusel Muffins with Cream Cheese Icing! I know you are going to love them as much as we do. 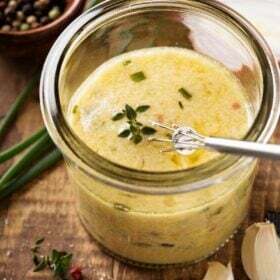 They are an extremely well tested recipe and are well loved by everyone who has had them! If you love this recipe, make sure and check out my Pumpkin Sour Cream Coffee Cake , that also has an amazing streusel on top, and the famous, big layered Pumpkin Dream Cake! Cinnamon Streusel: In a small bowl, whisk together flour, sugar and cinnamon, add melted butter and stir with a fork until crumbly (can also beat with a hand mixer until crumbly if you need to). Set aside. 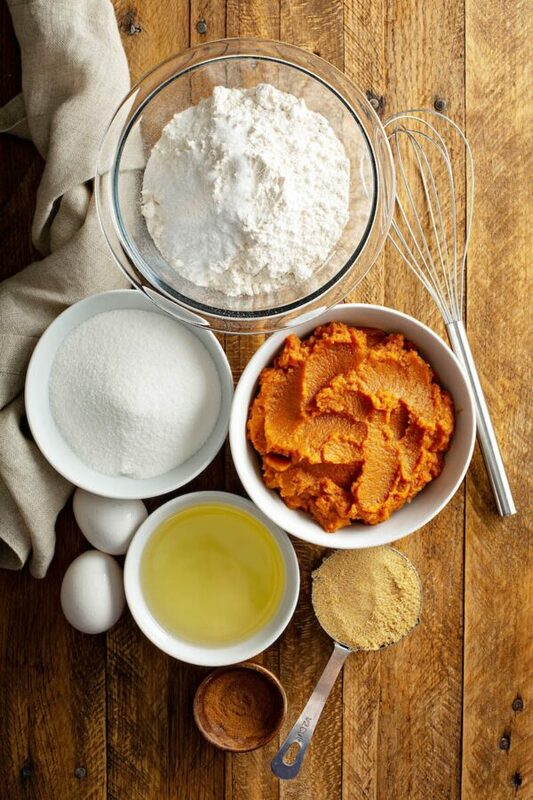 Pumpkin Spice Muffins: In a medium bowl, whisk flour, pumpkin spice, baking soda and salt until well combined. Set aside. Top each muffin with about 2-3 tablespoons of streusel mixture and gently press down. Cream Cheese Icing: In a small bowl, beat together cream cheese, powdered sugar, milk and vanilla until smooth. 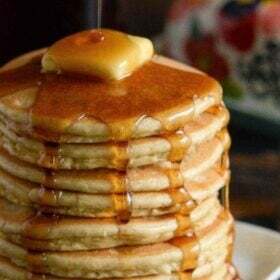 If needed, slowly add more milk until you reach a good drizzle consistency. Drizzle the frosting onto the warm muffins and serve immediately! To reheat muffins, pop one or two muffins into the microwave for 10 seconds. They will taste freshly baked! In one of the pictures, it looks like there is a graham cracker base…is it supposed to have that? 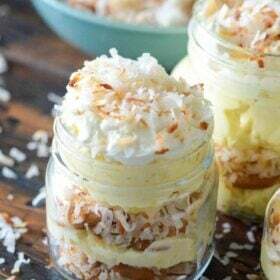 Also these look amazing, especially with that cream cheese drizzle! I love that you included cream cheese and not just powdered sugar and milk!